LANforge FIRE generates stateful network traffic and monitors packets for throughput and correctness. LANforge FIRE sits on the edge of your network and tests your network core. 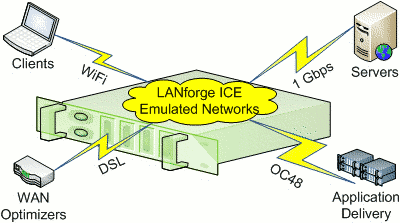 LANforge ICE WAN emulators test the robustness of devices that connect either side of an impaired network. 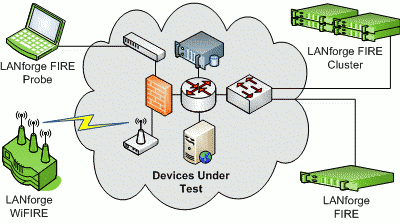 Impairments: bandwidth, latency, packet loss, jitter, corruptions and others. Release 5.3.8 adds REST automation API support, improved wave-2 WiFi performance and stability, an improved RF RADAR generator and more. See the Release Notes for more details. 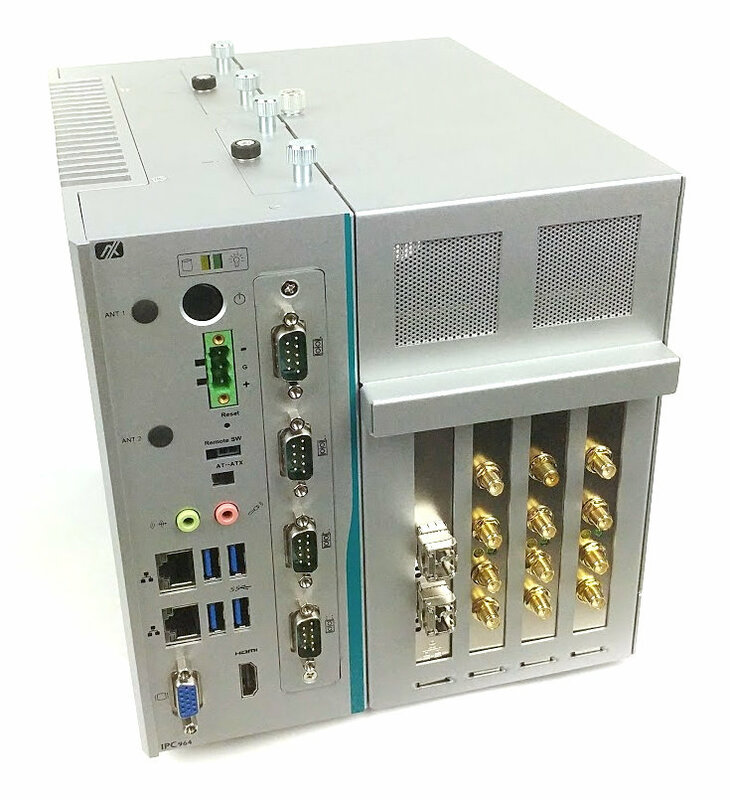 Our New CT523c Chassis provides up to 4 WiFi radios in a quiet and portable form factor, or 3 radios with 10G Ethernet support. LANforge FIRE 10 Gbps traffic generation systems now competitively priced. 10Gbps WAN emulation systems now available. Affordable 0-45 Mbps WAN emulation appliance with 10/100/1000 Mbps ports for standalone WAN emulation system available for only $995. Affordable 0-1Gbps WAN emulation appliance with 10/100/1000 Mbps ports for standalone WAN emulation system available for only $4,995. For a free trial version of the LANforge software, create an account and go to the Downloads page. Candela Technologies suggests NetEqualizer for automated traffic shaping applications.